Tribal Healing to Wellness Court brings together alcohol and drug treatment, community healing resources, and the tribal justice process by using a team approach to achieve the physical and spiritual healing of the individual participant, and to promote Native nation building and the well-being of the community. Participants enter Tribal Healing to Wellness Court through various referral points and legal processes that promote tribal sovereignty and the participant’s due (fair) process rights. Eligible court-involved substance-abusing parents, guardians, juveniles, and adults are identified early through legal and clinical screening for eligibility and are promptly placed into the Tribal Healing to Wellness Court. Tribal Healing to Wellness Court provides access to holistic, structured, and phased alcohol and drug abuse treatment and rehabilitation services that incorporate culture and tradition. Tribal Healing to Wellness Court participants are monitored through intensive supervision that includes frequent and random testing for alcohol and drug use, while participants and their families benefit from effective team-based case management. Progressive rewards (or incentives) and consequences (or sanctions) are used to encourage participant compliance with the Tribal Healing to Wellness Court requirements. Ongoing involvement of a Tribal Healing to Wellness Court judge with the Tribal Wellness Court team and staffing, and ongoing Tribal Wellness Court judge interaction with each participant are essential. 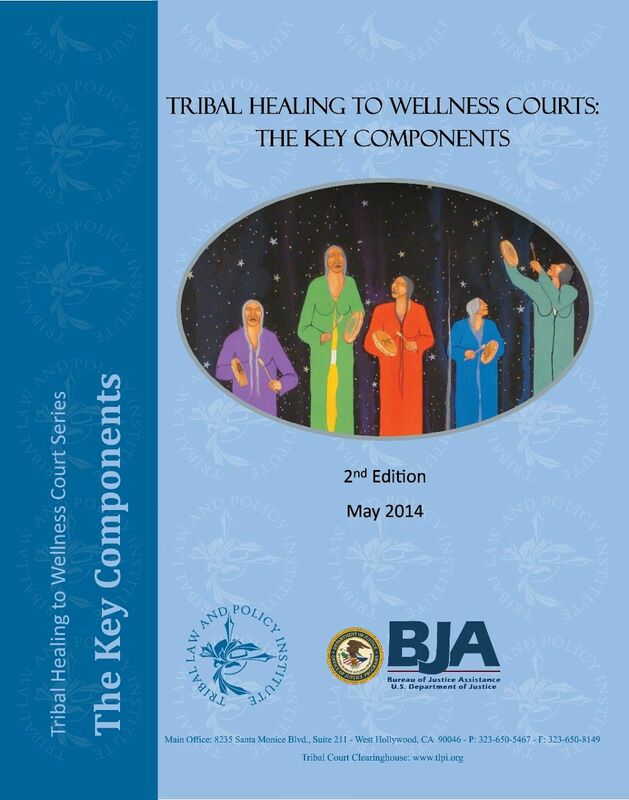 Continuing interdisciplinary and community education promote effective Tribal Healing to Wellness Court planning, implementation, and operation. The development and maintenance of ongoing commitments, communication, coordination, and cooperation among Tribal Healing to Wellness Court team members, service providers and payers, the community and relevant organizations, including the use of formal written procedures and agreements, are critical for Tribal Wellness Court success. The Standards bring to bear over two decades of research on addiction, pharmacology, behavioral health, and criminal justice and include lessons that will not only improve Drug Court, but will help improve the way the entire system responds to offenders living with addiction or mental illness. Volume I standards include target population; historically disadvantaged groups; roles and responsibilities of the judge;incentives, sanctions, and therapeutic adjustments; and substance abuse treatment. The Standards bring to bear over two decades of research on addiction, pharmacology, behavioral health, and criminal justice and include lessons that will not only improve Drug Court, but will help improve the way the entire system responds to offenders living with addiction or mental illness. Volume II standards include complementary treatment and social services; drug and alcohol testing; multidisciplinary team; census and caseloads; and monitoring and evaluation. An upcoming webcast on The Role of MedicationThe National Center for State Courts has teamed with American University for an Adult Drug Court Research to Practice (R2P) Initiative to promote the timely dissemination of information emerging from research on addiction science, substance abuse treatment, and adult drug court programs. With funding from BJA and the National Institute of Justice, the R2P Initiative will produce a series of webinars, webcasts, and other work products that disseminate important research to practitioners and policymakers.